Yu-Gi-Oh! TCG Event Coverage » Central America World Championship Qualifier Participation Prizes! Home > 2018 Central America WCQ	> Central America World Championship Qualifier Participation Prizes! Everyone at the Central America World Championship Qualifier receives cool prizes just for participating! 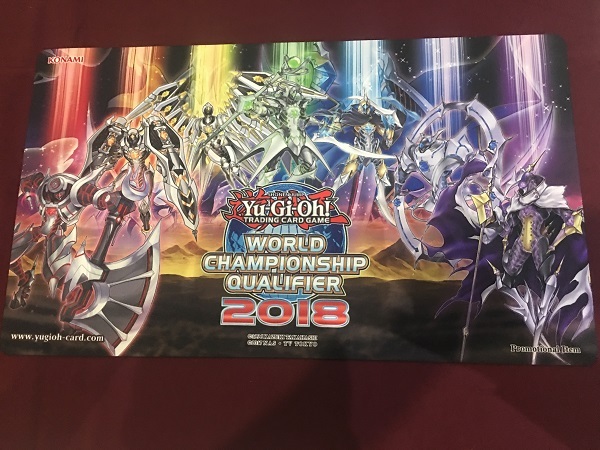 All competitors receive a brand new World Championship Qualifier 2018 Game Mat featuring the Mekk-Knight monsters! 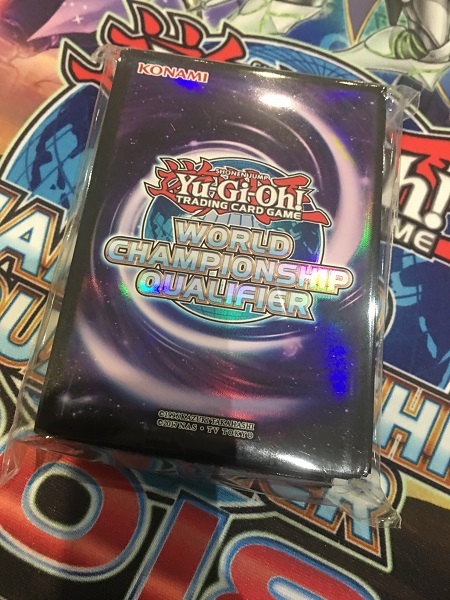 In addition, each participant receives a pack of exclusive sleeves commemorating the 2018 World Championship Qualifier. There are 100 sleeves in each pack, perfectly suited to protect your Main Deck, Side Deck, and Extra Deck. Today marks a first opportunity to get these exclusive promotional items, but Duelists competing in other World Championship Qualifiers across the world will have their own opportunity to get these items in the coming weeks. Get Ready for the Central America WCQ! (Photo Gallery!) Welcome to the Central America World Championship Qualifier!